Google Trips has actually been in beta for several months and it is an excellent, well designed app overall. I’ve used it on my last several business trips and have found it to be a big help, even in cities where I know the places to go and see. What I really like about it is the fact it can be used offline. For any trip you have in the app, just use the toggle to Download and all of your plans will be downloaded for that trip. This is a big benefit if you travel internationally where most carriers charge a huge amount for data overseas. 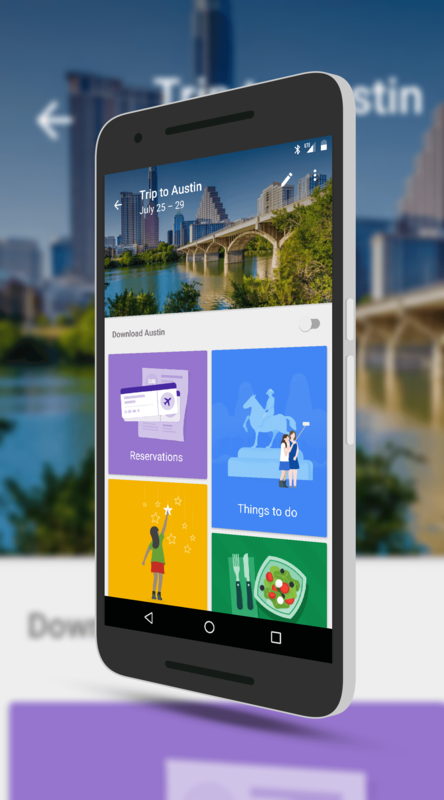 Google Trips is free and available in the Play Store.